Well, we are surviving the spring sports season, and no one is going hungry. We also haven't increased our take-out budget, or resorted to cereal (much!). But I'm not gonna lie - it's a challenge. With a six-year age gap between my kids, they are coming and going at different times to different places, and I am their Uber Car. For the most part, Owen and I eat on the early side (before sports), and then Ryan and John eat later, when they get home from work and high school sports. Things that can be made earlier in the day, and then heated up, work best on this schedule. Any night we will all be home for dinner, I try to put together something "bigger". Something to think about the next time you're strolling down the aisles . . .right? What's on your menu for this week? 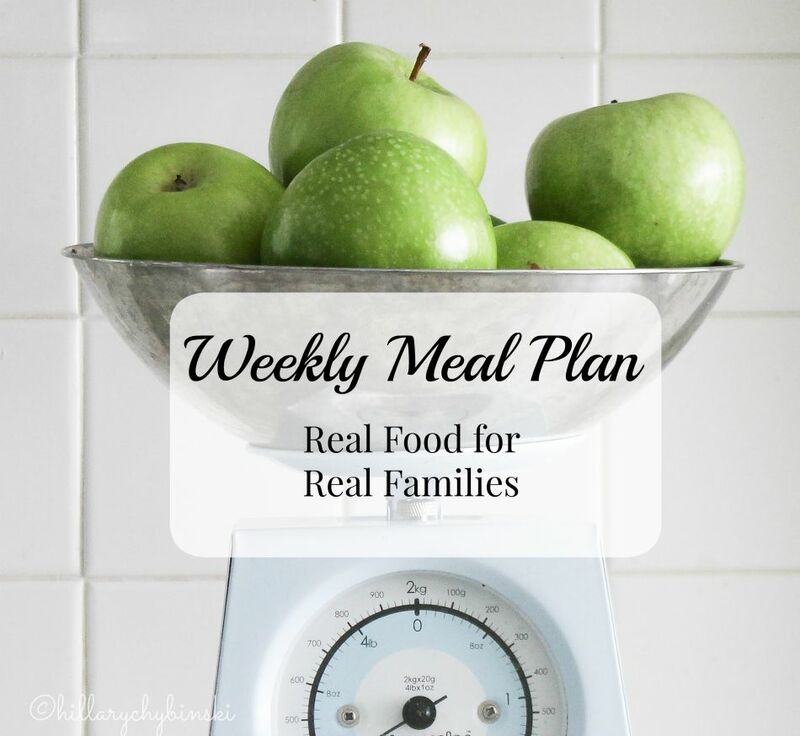 I'd love for you to share your ideas here in the comments, or join the facebook discussion about what we're making for dinner this week. 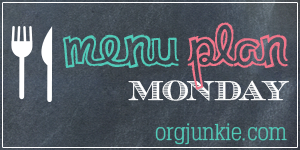 This post is linked up at I'm An Organizing Junkie - be sure to check it out for even more menu planning ideas and inspiration! We do a quasi taco bar and the girls love it. I just leave everyone on the counter so they don't keep reaching for the cheese!